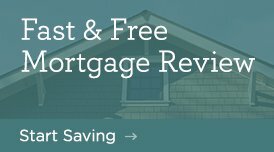 A home refinance can be an effective way to save or manage money. While there are many advantages to a refinance, it doesn’t always make financial sense. There are many factors to consider, including your overall financial situation, the amount of equity you currently have in your home, and how long you plan to live there. The best way to figure out whether it’s the right move for you is to talk to a Salal home loan expert who can help you crunch the numbers and make sure you’re aware of all your options. All Salal loans are subject to credit approval.